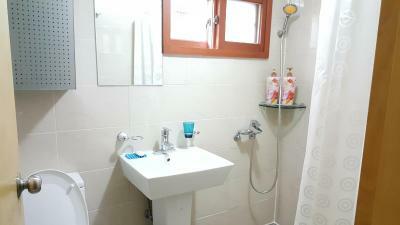 Lock in a great price for Haha Guesthouse Itaewon - rated 9.1 by recent guests. Everything! 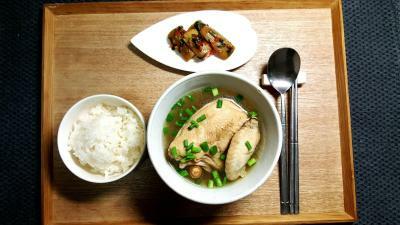 Staying with a real Korean family, having a real Korean breakfast (meal in fact!) elaborately prepared every morning by HaHa herself. The extreme cleanliness and comfort of the whole place, built around a small garden in a quiet neighbourhood, yet very near the metro station, with typical eateries around the corner. Above all, the competent Haha who can advise you on everything, in excellent English, and who was particularly helpful to me for a flight reservation, and for retrieving belongings that I'd left in a shop in the city. I extended my stay from 4 to 6 nights. Thank you again for everything, HaHa! The breakfast was fantastic! Different everyday with a wide choice. The host was very friendly and helpful to all and was an amazing host! Location was amazing and surrounded by a lot of facilities! Very satisfied! 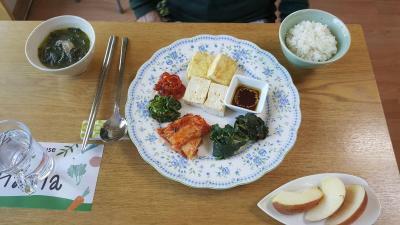 The weekday Korean breakfast provided by Haha is great and second portions were allowed! 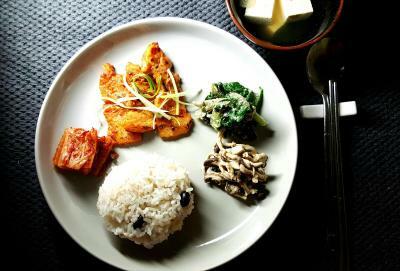 This is a great bibimbap made by a local at home. 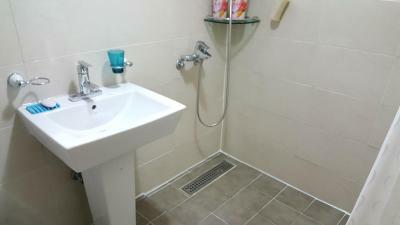 The bed was comfortable, the shower is very nice and the dining area is also comfortable. Haha, who runs the house, and her husband, who runs the garden, are both lovely people that I was only able to have a brief interaction with each but they take care and pride in their home and look after their guests. The garden they have is an uncommon thing to have in Seoul so it makes it quite a unique place four the city and they have a cute dog too, which wasn't always there during my stay. The location is strategic, nearby subway. 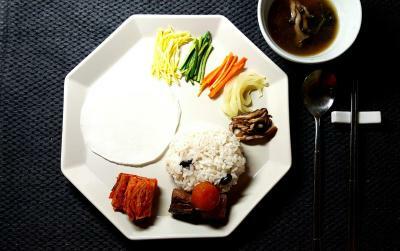 The breakfast served is very authentic home cook Korean food. The place is definately value for money, the breakfast is really good and the rooms are really clean! The location ia really convenient, although a bit hard to find, but Haha provided me directions with pictures by request, so I clukd find the place really easily. They let me relax in the common area after check out and drink coffee and tes before my flight, which was really nice. 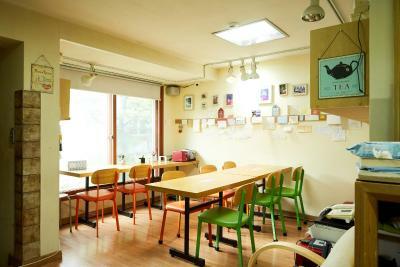 If I were to visit Seoul again, definitely will choose Haha Guesthouse. 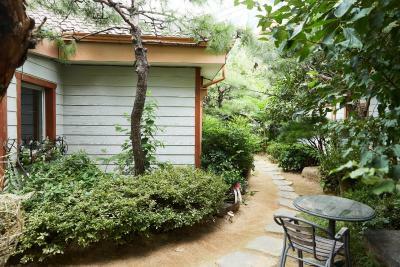 The property is only a walking distance from Samgakji Station (Exit 3). There are also at least three convenience stores nearby (CU, eMart, and GS25). 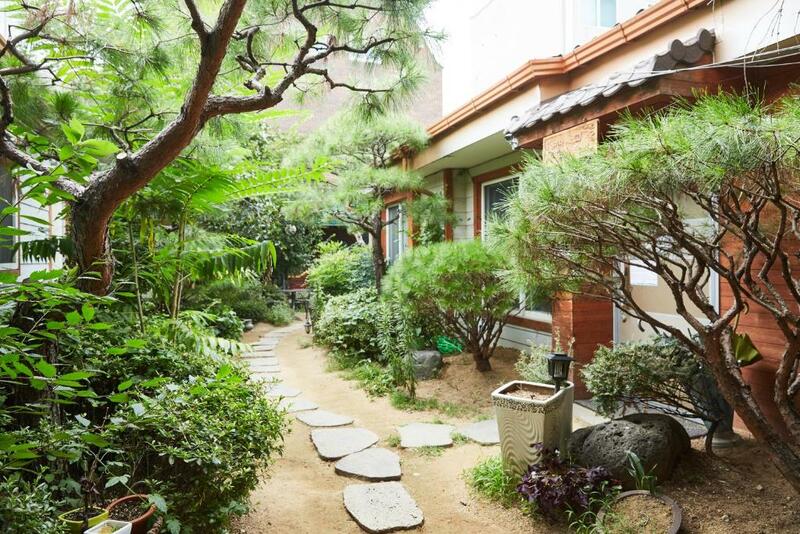 The garden is beautiful, house is clean, and a quiet surrounding as it is located in a residential area. Haha was friendly too. 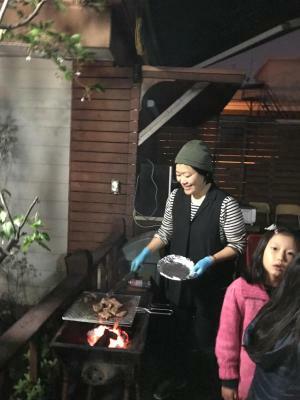 Every morning we enjoyed having Korean breakfast made by her and it was delicious! I will miss everything there. HaHa is a very nice person. HaHa and her friend helped me a lot, it's a very convenience place for traveler to stay. 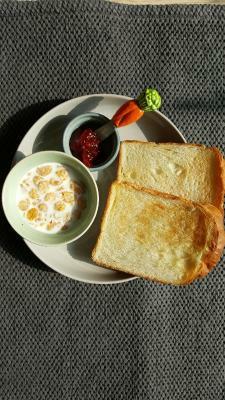 The breakfast is truly an amazing aspect of this hostel! 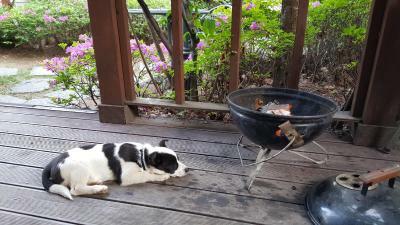 The hostess is very social and helpfull. The location is very pretty and cozy too. The host is very helpful and friendly. 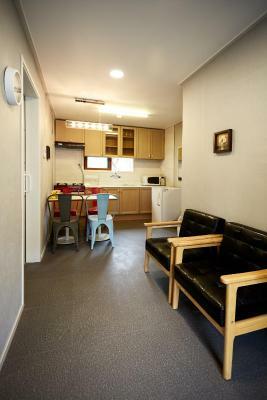 The location is 5 mins walk from Samgakji station where is next to Seoul Station from 2 station. 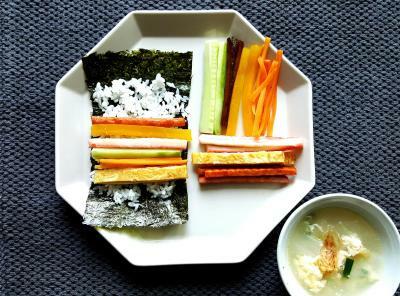 Every morning host will prepare a homemade Korean food that is really delicious. One of our bestsellers in Seoul! 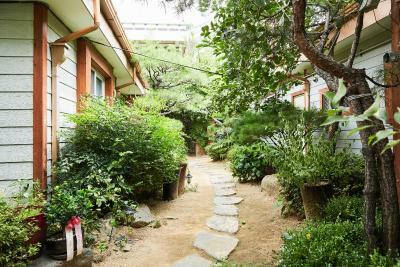 Set within 1.6 miles of I'Park Mall, Haha Guesthouse Itaewon in Seoul has a number of amenities including free bikes, a garden and a terrace. 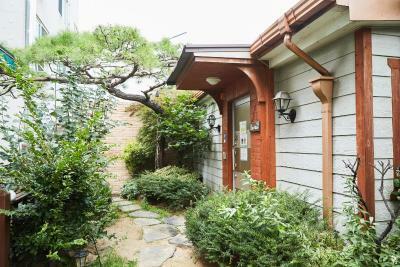 The property is situated 1.8 miles from National Museum of Korea, 2.2 miles from Namdaemun Market and 3.1 miles from Myeongdong Cathedral. Guests can make use of a shared lounge. 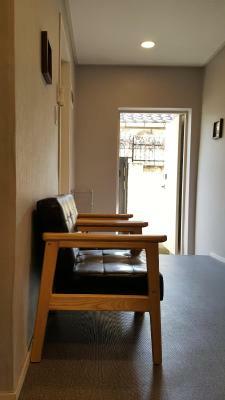 All guest rooms at the guest house come with a seating area. All rooms will provide guests with an oven. 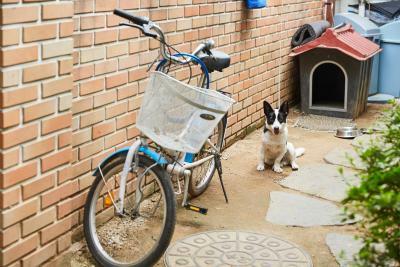 Cycling is among the activities that guests can enjoy near Haha Guesthouse Itaewon. Noryangjin Fisheries Wholesale Market is 3.1 miles from the accommodation, while Ewha Womans University is 3.7 miles away. 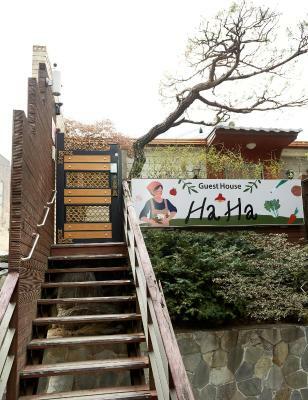 Haha Guesthouse Itaewon has been welcoming Booking.com guests since 8 Apr 2017. 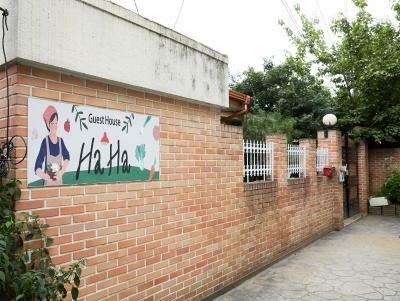 When would you like to stay at Haha Guesthouse Itaewon? 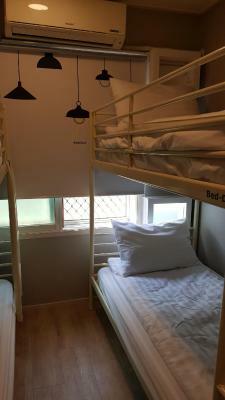 This bed in dormitory has air conditioning, microwave and stovetop. 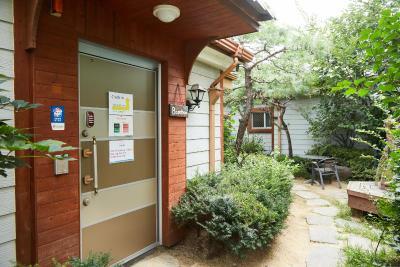 Private parking is possible on site (reservation is needed) and costs KRW 5000 per day. This bed in dormitory features a kitchenette, toaster and microwave. 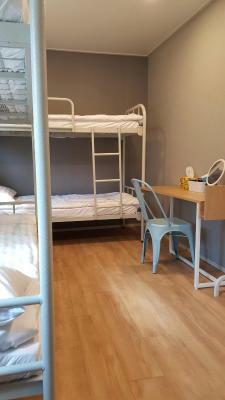 This twin room has a barbecue, tea/coffee maker and air conditioning. 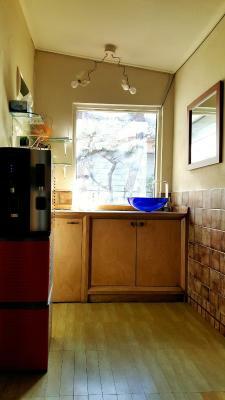 This family room features a tea/coffee maker, stovetop and toaster. This dormitory room has a soundproofing, toaster and stovetop. 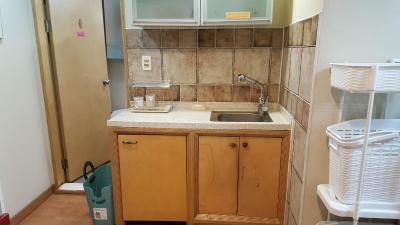 This dormitory room features a kitchenette, kitchenware and toaster. This twin room has a kitchenware, stovetop and tea/coffee maker. Property surroundings – This neighbourhood is a great choice for travellers interested in convenient public transport, sightseeing and culture – Check location Excellent location - show map Guests loved walking around the neighbourhood! 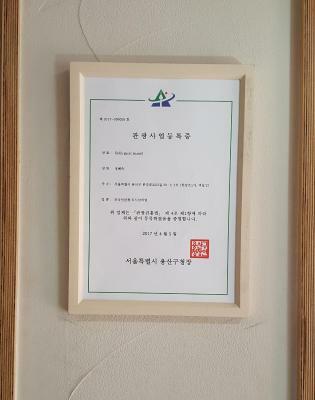 House rules Haha Guesthouse Itaewon takes special requests - add in the next step! Up to three children under 12 years are charged KRW 10000 per night when using existing beds. Haha Guesthouse Itaewon accepts these cards and reserves the right to temporarily hold an amount prior to arrival. Additional fees apply for late check-in. 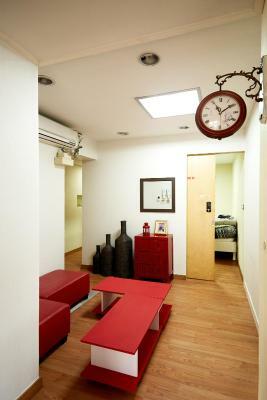 Please inform Haha Guesthouse Itaewon in advance of your expected arrival time. You can use the Special Requests box when booking, or contact the property directly with the contact details provided in your confirmation. Everything was perfect, have no complaints! All of us didn’t bring towels as it was usually provided in accomodations. It can be rented though in the place. We just shared the 1 that was provided. Breakfast starts at 9am but since we have pre booked tours/ coupon that usually starts at 8am, we couldn’t wait til 9. She offered bread for breakfast for those who can’t wait til 9am. I also received her email message from Booking late. I was already in Korea when I received the email. There was wifi, free use of adaptor and I was not charged for the towel. Accessible by train if coming from the airport.Near Samgakji station line 4.
like the meals... they’re great! It isn't the most comfortable place to stay with children- the 'deluxe family room' (which is just a normal dorm room with 5 beds) opens directly onto the common room/breakfast area, so there is a fair amount of noise (including fellow guests loudly snapping at each other) and minimal privacy all day. The common room is really crowded (no seats) during the designated breakfast time which leaves minimal options of where to go during this time (especially if your kids, like ours, don't like the breakfast but also aren't permitted to eat in the rooms). Ha Ha was a very friendly host, but every thing in this place is managed in minute detail- which sponge you can use to wash your dishes, exactly how to clean the bathroom after you use it, the room temperature (which was quite hot in our room), where to take off your shoes (we were caught by this bottleneck spot every day! ), what time to use/not use the bathroom, where you can eat, etc. which was all a bit uncomfortable, especially with children. 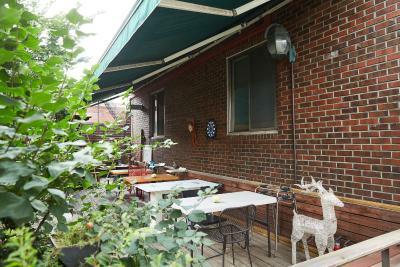 This guesthouse was in a very convenient location (near the subway, lots of restaurants, lots of attractions). Ha Ha was a very friendly and kind host. 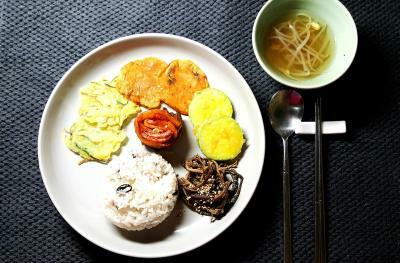 The Korean breakfast on weekdays was pronounced delicious by those in our family who like Korean food! Hard to think of anything bad to say about this place, since everything was really nice. Other guests made noise early in the morning, so you might want to take earplugs and eye pads to make sure you get a good sleep. Also staying in the upper bed was quite inconvenient and hard to climb, but the bed itself is really good and the sheets are so white and clean! Too stuffy in the room, too many beds packed in one room. 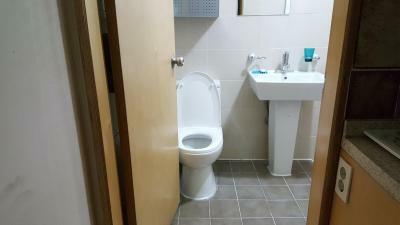 Only one toilet and bathroom to be shared with too many guests. The mother-like care of Haha.